The hunt, originally uploaded by The Bacher Family. 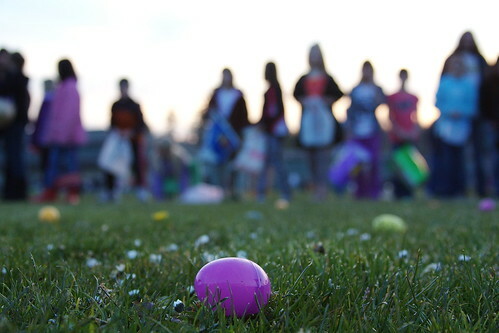 To make this photo and the next one, I laid down on my belly in the grass and focused on the egg, with the lined up people blurred behind. That's Daniel on the far left in the orange and black jacket, holding a white plastic bag.